Second purchase from this company and free next day delivery and good price and quality of batteries. Great Battery. Fully charged straight out of the box and at a great price too. Very good service and an excellent product? . Will use again! Arrived on time. Perfect fit and being 7amp hours more powerful than the Yuasa battery it replaced. Only criticism is terminals don't have as much room around them to fit charger clips. Also terminals aren't shaped to accept the rectangular nuts. Packing the terminal with petroleum jelly held the nut in place to tighten up the bolts. 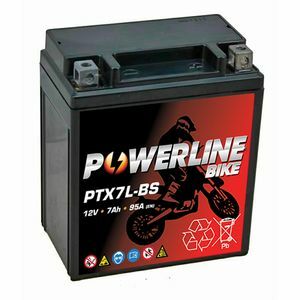 Excellent quality battery, bought and fitted to my son's motorbike, always turn up quick and always well packaged.